Bradford MP David Ward, Liberal Democrat Member of the House of Commons Education Select Committee is asking his constituents to take part in what he describes as the “important issue” of the government’s current summer born policy. Written submissions can be submitted online until 23 February (more information here), and given Bradford Council’s current admissions policy for summer born children (see below), submissions are sorely needed. 1. The current situation is actually more complicated and arduous than many people understand, and who can blame them? 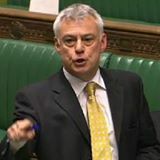 For example, in his news bulletin, David Ward MP describes how “Where a parent requests their child is admitted out of their normal age group, the Council is responsible for making the decision on which year group a child should be admitted to.” In fact it is the ‘admissions authority‘ that is responsible, and there are thousands of admissions authorities (schools and councils) throughout England, and we know that the same child, and the same circumstances can be given different decisions by different AAs. 2. On October 20, 2014 the Telegraph and Argus reported how a ‘Shocking’ number of Bradford children start school unable to go to toilet or put on coat by themselves, in which Councillor Debbie Davies, the Council’s Conservative spokesman for young people, said: “I’m amazed that less than 50 per cent of all children are school ready. You would expect them to be able to do basic things by five” and Alan Milburn, the head of the Social Mobility and Child Poverty Commission, said: “These figures are lamentable and shocking. Too many kids, by the age of five, are not ready to start school…“. I wonder whether Councillor Davies and Alan Milburn would also be ‘amazed and shocked‘ that summer born children actually start school at (barely) age 4, and if their parents try to enrol them at age 5 – when they’re ‘ready‘ for formal education – the child could be forced to miss Reception or any other subsequent year of their education. All parents (including those whose children are summer-born) are expected to apply for and take up a reception place in the school year in which their child will reach the age of five (rising fives). Parents may request that their child’s entry to Reception is ‘deferred’ until the following September, but this is allowed only in limited circumstances as the child would then become ‘offset’ and be educated outside of their normal chronological year group. If a request has been refused for summer born children to defer starting reception until the following academic year, parents would either need to apply for a reception place for the normal year of entry or for a place in Year 1 the following year, enabling their child to remain within their chronological age group and not being ‘offset’. This process is one of the newest illogical side-effects of the DfE’s December 2014 School Admissions Code and Summer Born advice; that parents who want their child to start school at compulsory school age should still apply for a school place a whole year early. Just re-read Bradford’s policy again. And as for this new system “enabling the child to remain within their chronological age group“; no, what it actually does is ‘enable’ admissions authorities and the government to continue forcing parents to enrol their children into school a whole year earlier than they actually want to. How many parents realistically are going to wait and apply for a Year 1 school place when their LEGAL RIGHT to commence their child’s full education at compulsory school age is subject to the PENALTY of losing a whole year of their child’s education? And so the majority of summer born children continue to start school at (barely) age 4. This entry was posted in MEMBERS OF PARLIAMENT. Bookmark the permalink.